An interview with author David Maraniss, associate editor at The Washington Post. 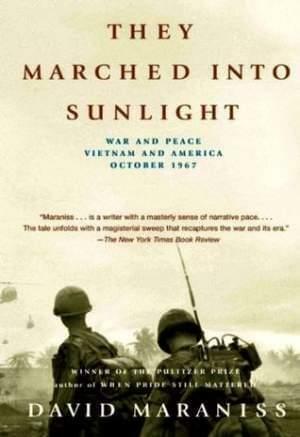 In They Marched Into Sunlight, Maraniss weaves together the stories of three very different worlds: the death and heroism of soldiers in Vietnam, the anger and anxiety of antiwar students back home, and the confusion and obfuscating behavior of officials in Washington. Based on thousands of primary documents and 180 on-the-record interviews, the book describes the battles that evoked cultural and political conflicts that still reverberate.